Bloomington Public Library on Olive Street. The Bloomington City Council voted 6-to-2 to approve a resolution affirming support of expansion at the Olive Street location. The library’s board of trustees approved the resolution Feb. 20. Alderman Karen Schmidt asked for the resolution, which does not commit any city spending, to be put on Monday’s council agenda. Monday’s resolution echoes an informal vote taken last June, when aldermen also signaled their preference for on-site expansion. 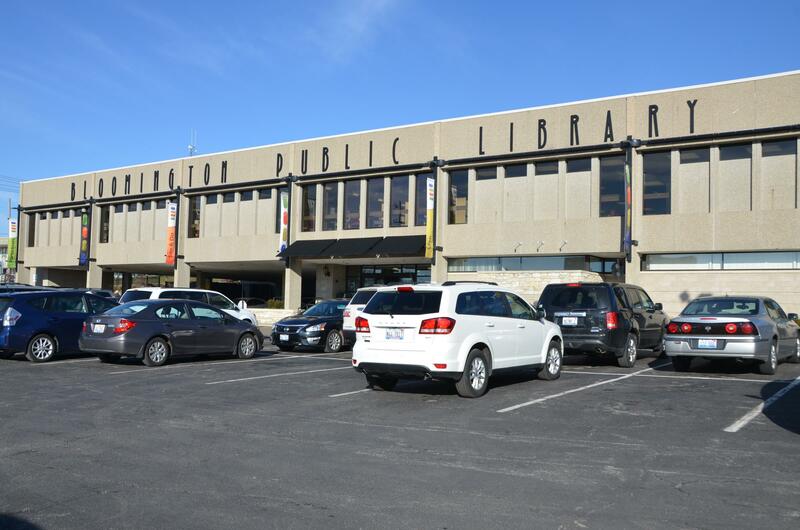 Library leaders have been considering and studying expansion for 18 years, saying they’re bursting at the seams in their current space. "We need to give the library board some closure, finally." The resolution comes months after the city’s Downtown Task Force recommended exploring a so-called “catalyst” project that would’ve moved the library into the heart of downtown. It would have shared a space with a new Connect Transit transfer center. That plan failed to garner wide support among aldermen or library trustees. 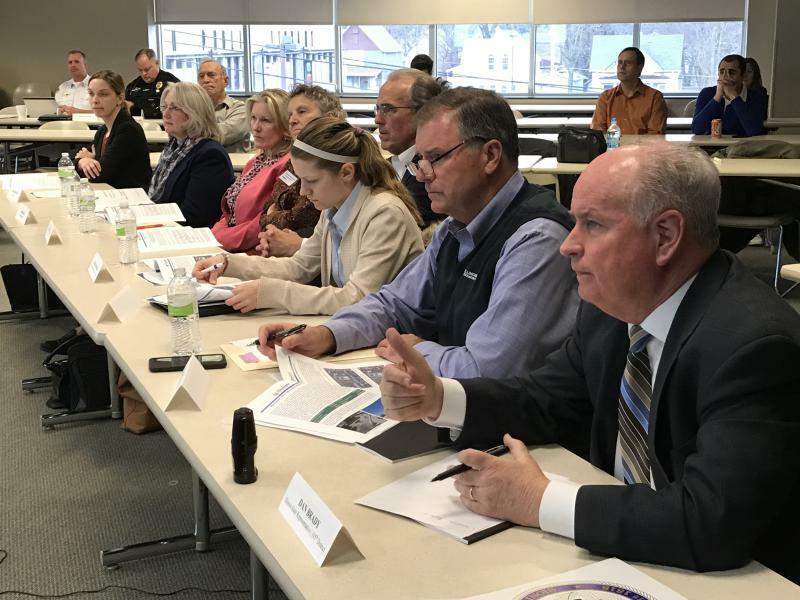 Buragas chaired the Downtown Task Force and supported the catalyst project. She was one of two “no” votes on Monday’s resolution, calling it premature given the scope of the “generational decision” on library expansion. She said there are many unknowns about the viability of the Olive Street location, including how much expansion will cost. “I am very concerned that by limiting our analysis at this point, we’ll prevent ourselves from answering those very important questions and inquiries that we need to be able to answer, and to tell the public that we have fully vetted prior to making a decision of this magnitude,” Buragas said. “The universe of what we do not know right now is much, much larger than the universe of what we do know,” she added. Renner said he agreed with Buragas' concerns. "I was very, very interested in listening to other possible alternatives. More information is usually good unless you're dithering," Renner said Tuesday on GLT's Sound Ideas. "I'm not even 100 percent sure why it was necessary to vote on it (Monday) night," he added. "But we did. I had no problem putting it on the agenda. I think the timing (could've) been a little better." Alderman Scott Black also voted against the resolution. He said a renovation at O’Neil Pool is a higher priority for him than the library expansion. “That will have a major impact on our neighborhoods. Whereas we may be able to squeeze some more life out of the library,” Black said. Mayor Renner talks about the library expansion. GLT's full interview with Renner. 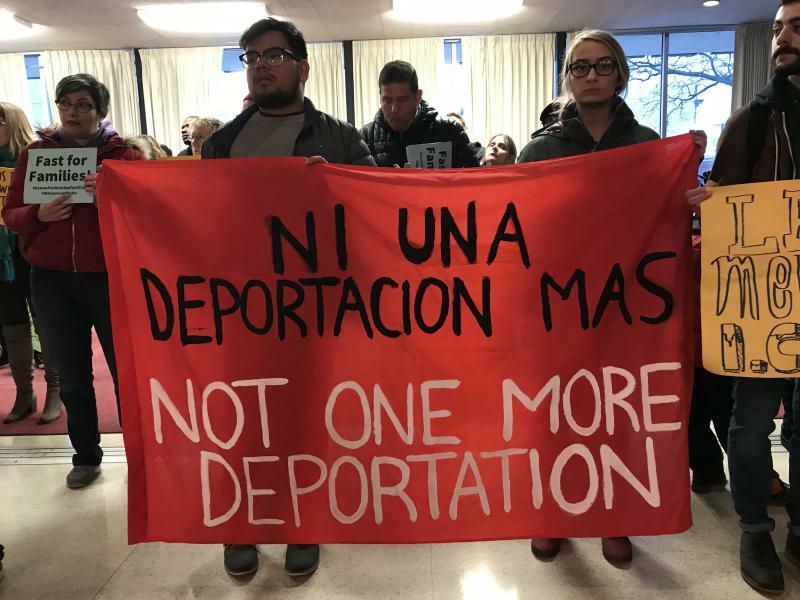 The Keep Families Together coalition continued its rally in the Bloomington City Council chambers Monday after breaking a 24-hour fast.